While life keeps us extremely busy with rebuilding our home after the hurricane Maria (we hope it will finish in about 2 months! Hurray! ), we try to work on photography and video as much as we can. And there is lots of work to be done. 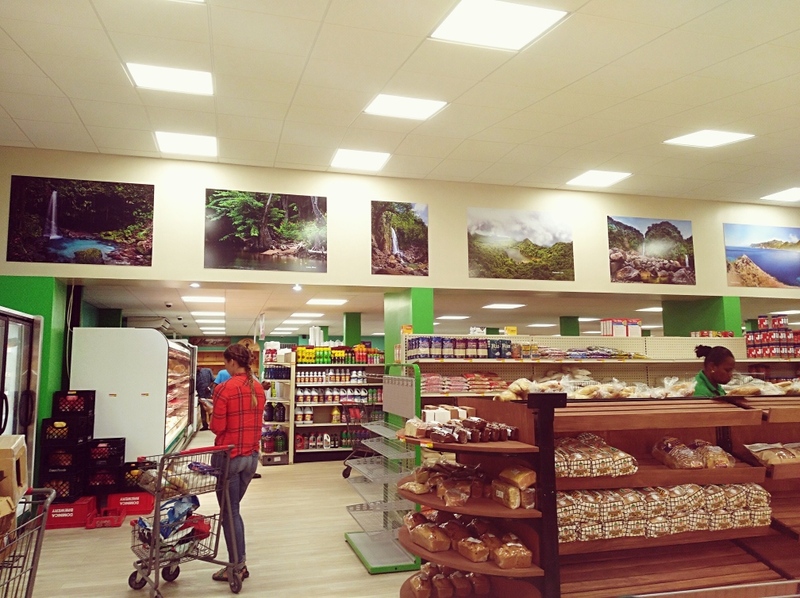 Just recently our XL sized prints were placed on walls of S-Mart supermarket, adding a flavour of local nature to the store. Soon after -in collaboration with #EliteEvents – International Airport in Dominica had been decorated with even bigger size prints. 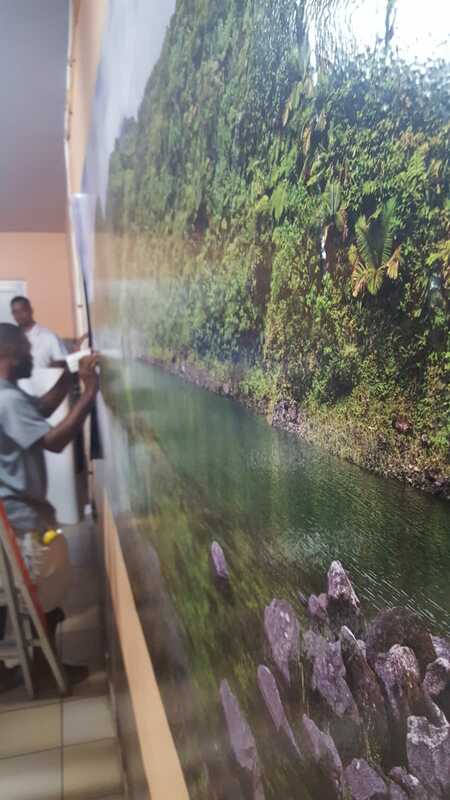 We are working on a series of wall-decor nature prints available in several retail locations, and – same as these above projects – we do it in collaboration with the best printers in Dominica – Campbells. Then, I had a creative photo-video session with a professional model and a friend – Nicole Morson. We worked together before. This time it was a horse-riding theme, courtesy of fantastic Brandy Manor Riding Center near Portsmouth. I am now preparing for a short trip to Grenada, to do photography and video for promotion of a new luxury boutique resort – I should have more about it soon. So, as you see – there is quite a b it of work we are tackling on top of our everyday lives. But during all these activities we also revisited the Papillote Gardens in Trafalgar – one of our most favourite Caribbean gardens. It is always a pleasure to meet Anne, garden’s creator. She helped me filming several agouti feeding before sunset, and we were shown all recent changes and improvements. During these visits we did what we always try to do – filmed and photographed, and Margaret had a short interview with Anne. The result is now available for you to see – a short video presenting Papillote Gardens. Have a look. We hope you will enjoy! So, that is all for now, we will be in touch soon. Don’t forget to like and share the post if you enjoyed it. All the best! 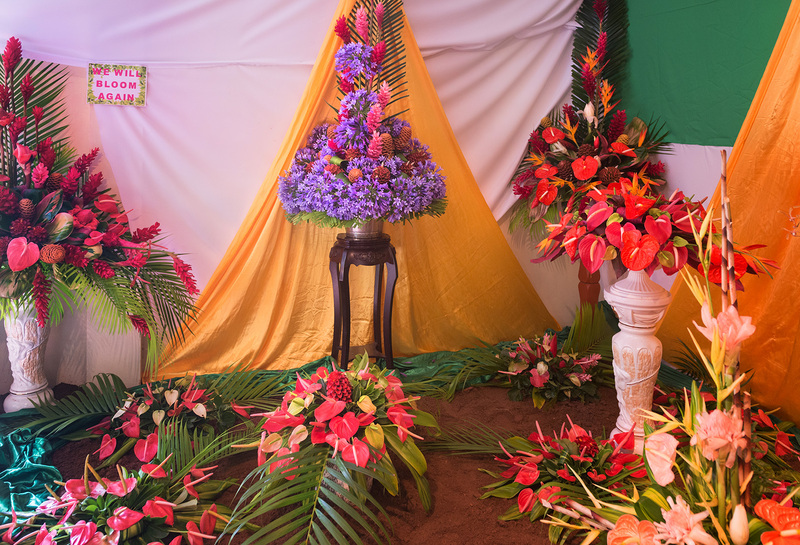 We were fortunate this year to attend the Giraudel Flower Show in Dominica, where we live now. This special event was held in the village of Giraudel situated on the slopes of Morne Anglais, one of the tallest mountains in the south. 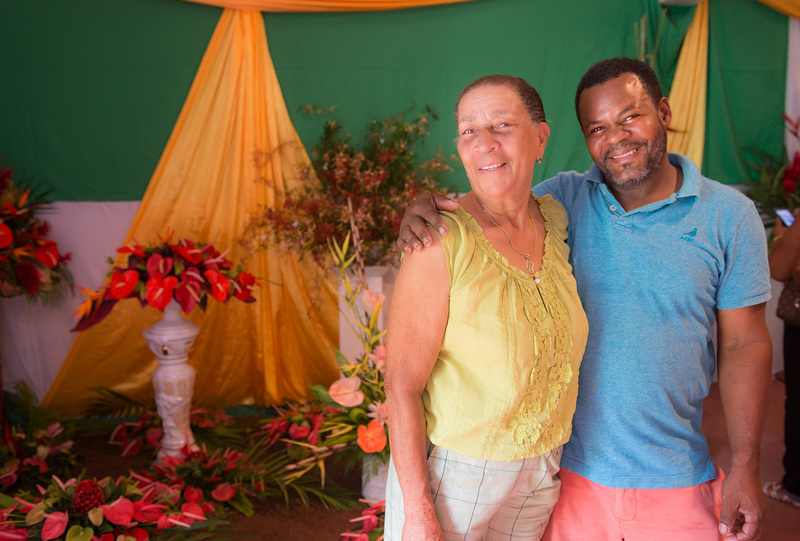 The village of Giraudel is known as the “flower basket” of Dominica. Rich volcanic soil and frequent rains make ideal conditions for growing flowers and healthy vegetables this village is famous for. 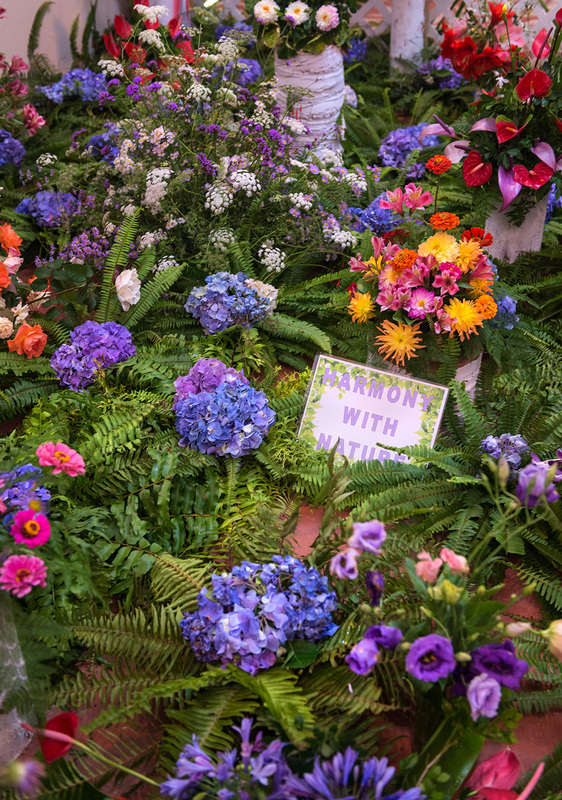 The Flower Show started in 1973 and grew out of local celebrations of Achievement Day, showcasing local produce, crafts and the best gardens. Since then it was run every second or third year with a bigger break after devastating hurricane David. Sybil Alfred and Desmond Augustine at the Show. 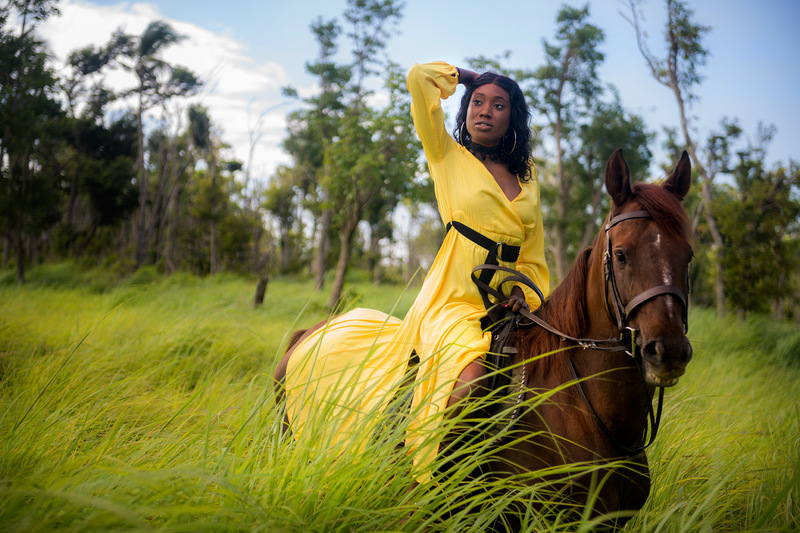 “We, the Flower Grower Group, recently bought this piece of land and finally have a permanent home for the show,” explains Sybil Alfred- one of the organizers who is involved from the very beginning. 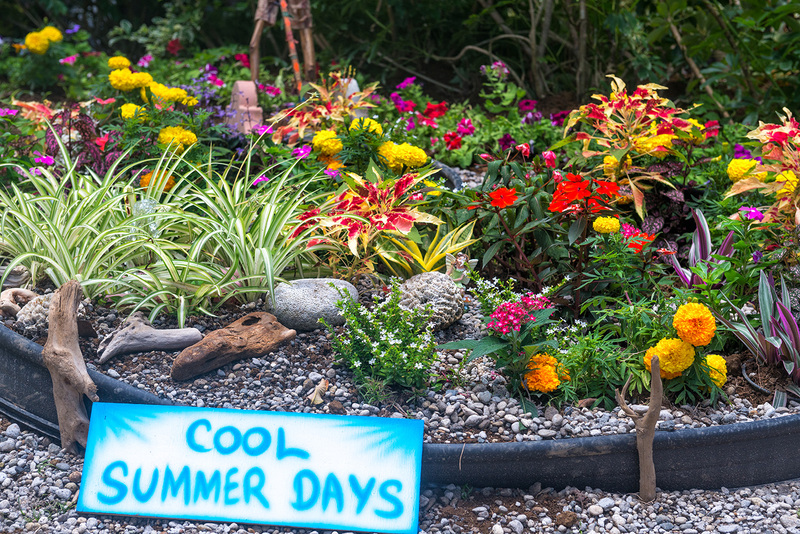 “It is very much a community effort, everyone contributes in a different way and everyone is welcome – from small individual growers to commercial flower shops and gardens”. The display is colourful and striking. 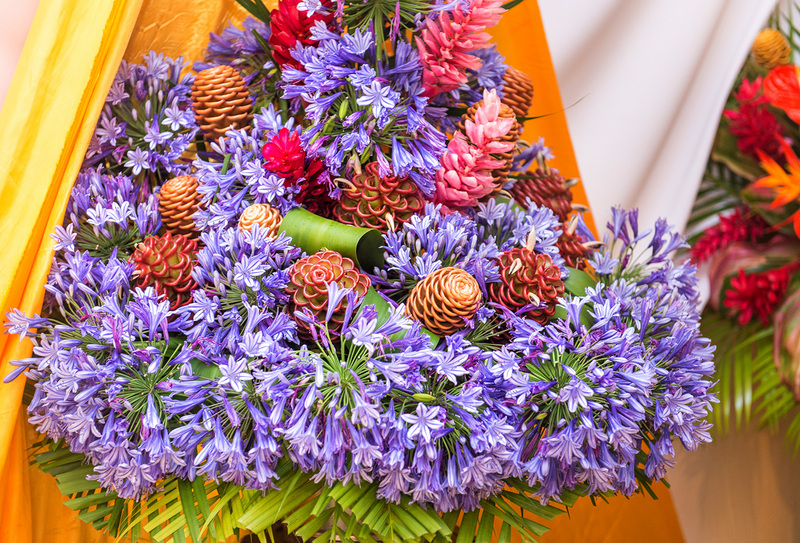 Different varieties of Anthurium, Ginger and Costus are the most frequently used plants, together with Alstroemeria, Dahlia and Marigold. I really like a bouquet made of blue Agapanthus- these showy globes are three times bigger than what we grew in our garden in British Columbia, Canada. I truly started to be fond of these strong combination of reds, orange and yellow only when we begun to work on our book “Exotic Gardens of the Easter Caribbean”. 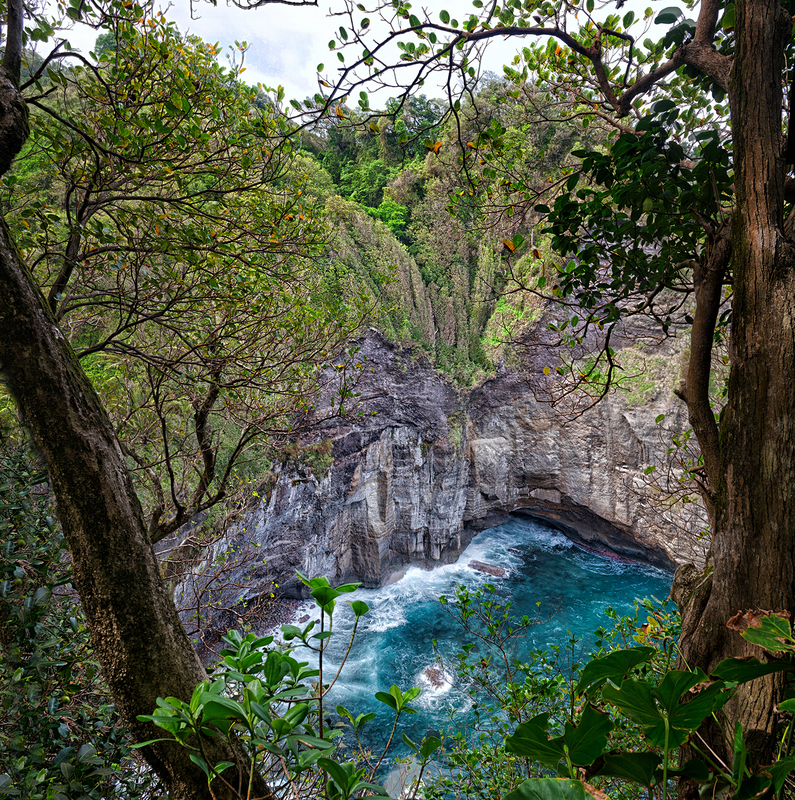 As a gardener, I’ve always preferred pastels, whites and textural plants – but here, under tropical sun these vibrant colours really make a strong statement against the background of intensely green rainforest. 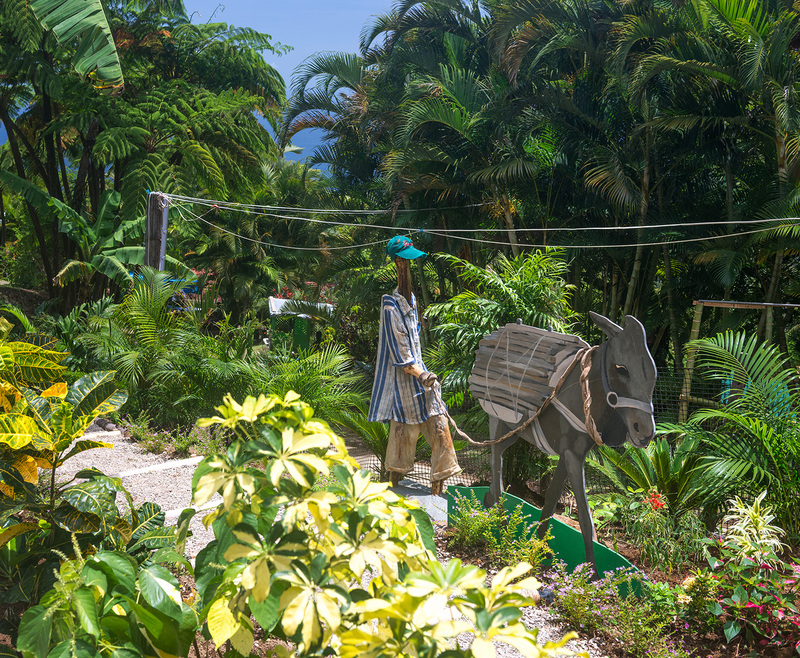 We step outside into the sunshine and wonder around another section showing a variety of natural landscapes and different growing conditions on the island: from lush rainforest of the interior to dry Caribbean coast. 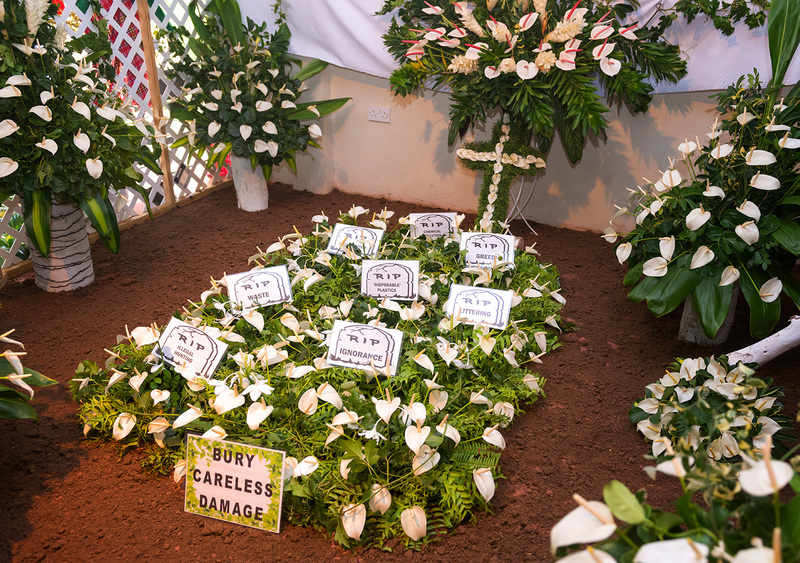 This section is skilfully put together by Desmond Augustine, owner of the local plant nursery and a master florist. Here the display includes funky mannequins impersonating workers in the fields. 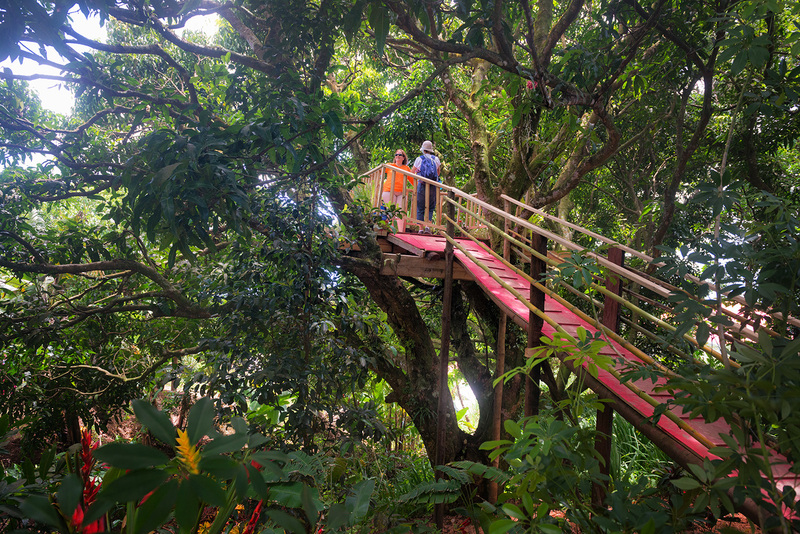 But this is not everything: there is a tree house with ferns, a shade garden, a field of colourful zinnias, bromeliads… there is still so much to see! We had a wonderful time discovering all corners of the Giraudel Flower Show and ended up buying beautiful peace lily, spathiphyllum wallisii to be planted in our garden later on. I can’t imagine a more enjoyable Sunday afternoon. If you enjoy this story, please SHARE, let your friends read it too! Photos: Derek Galon, Ozone Zone. Please respect copyright. So, we are in Dominica, organizing our things and awaiting arrival of our container from Canada. Main stage of the concerts in the Stadium, opening night. 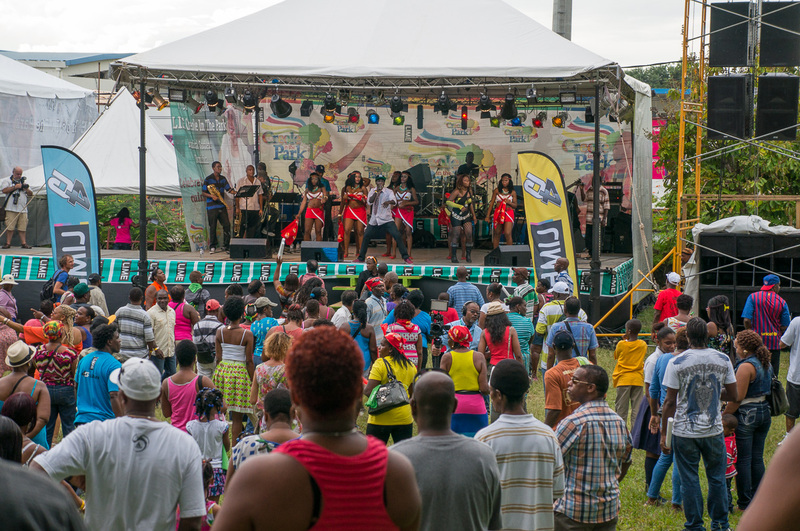 We arrived in Dominica just in time for Independence Day celebrations: over two weeks of music festivals, parades, national dress contests and all sorts of lively events. 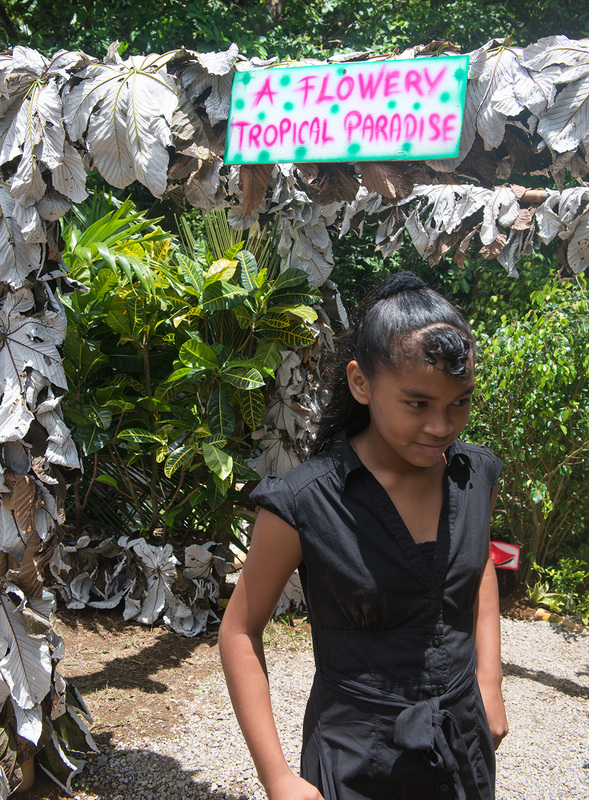 Dominica gained independence only 36 years ago, and Dominicans are very passionate about it. Many of them living abroad come to the island on this special occasion to join in all festivities. 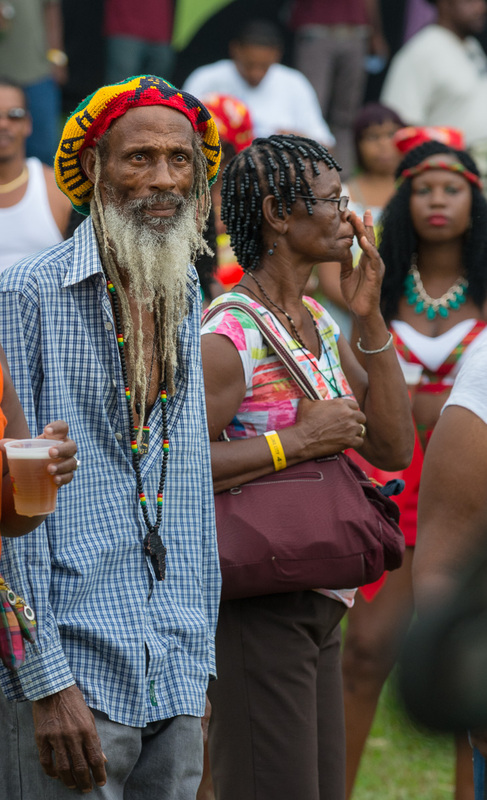 Music festivals attract also large crowd from French speaking neighboring islands of Guadeloupe and Martinique as well as Spanish and English speaking regions. 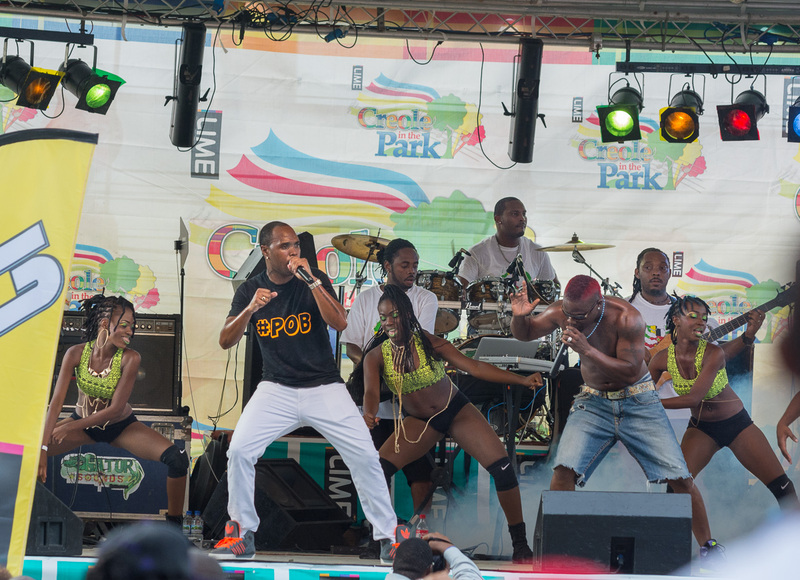 They share love for the Caribbean rhythms of reggae, soca, zouk and bouyon performed at the World Creole Music Festival- three long nights of pulsating, electrifying music. 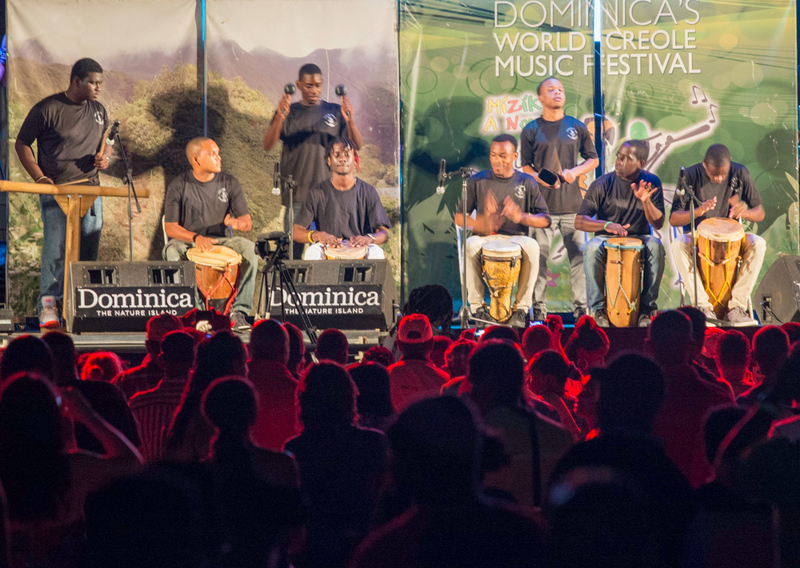 The World Music Creole Festival concerts were well organized by Discover Dominica, and there were enough bands to offer something to everybody. Surely, we all have different tastes and expectations and some bands were not as good as others – but that can be said about practically every festival, and we were impressed with professional organization, sound system, and visual presentation of it all. Concerts started soon after sunset and lasted until morning hours – quite a marathon! Then, during day time there were many other attractions worth considering (we will share a story about this in our next post). The biggest star this year and a crowd’s favorite was Jamaican reggae sensation Jah Cure. 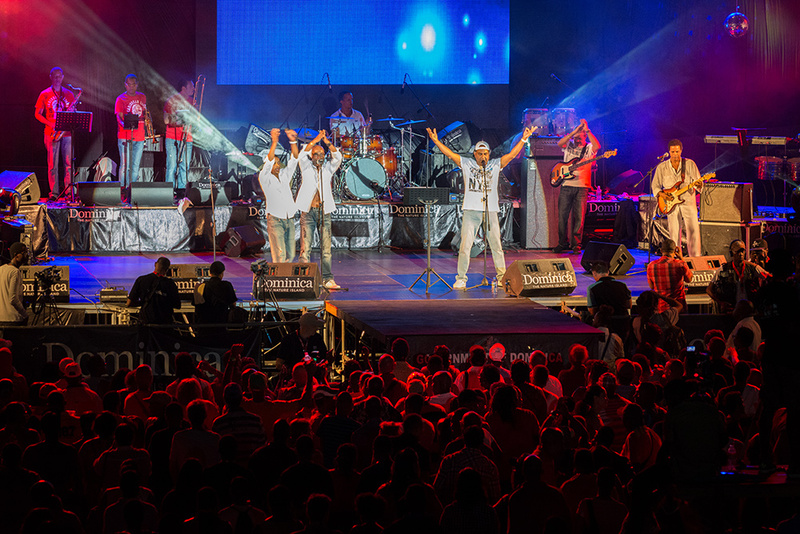 We quickly became fans of Dominica’s own bouyon group Triple Kay Band, after their energetic and groovy performance. Not only their playing was clearly at a high skill level, but the songs were full of surprises, cleverly composed and uplifting. We quickly agreed with a paraphrase of a popular song they created: “When Triple Kay plays – nobody can say -No!” We will be following career of this fine local band and we hope to see them spread wings far behind Dominica. Traditional performances took place in the park. 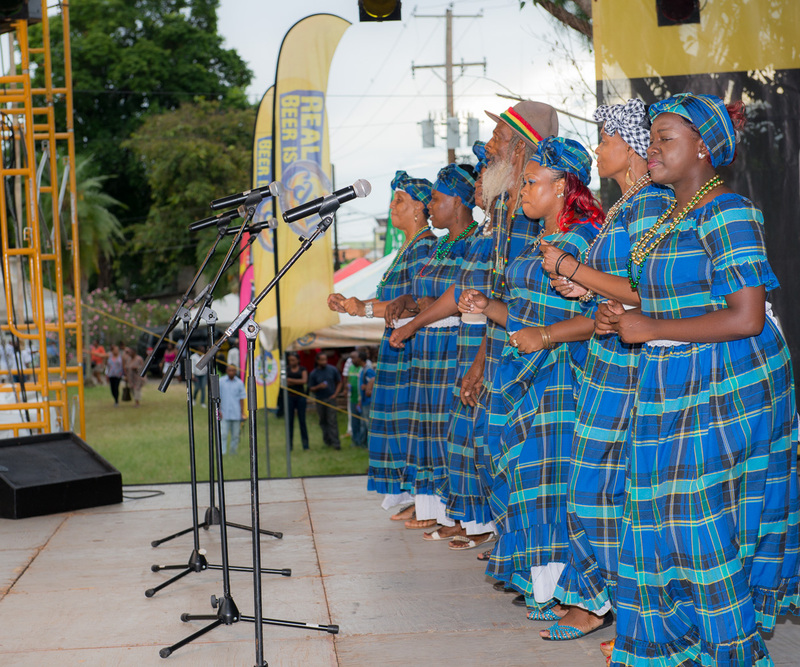 Triple Kay also took part in the Creole in the Park- four days of music performances on the grounds of Botanic Gardens. We immensely enjoyed not only the music but also a more relaxed, casual atmosphere and the strongly present sense of togetherness of all performers and audience. This event is a magnet for people of all age groups including families with children who are having a great fun together. 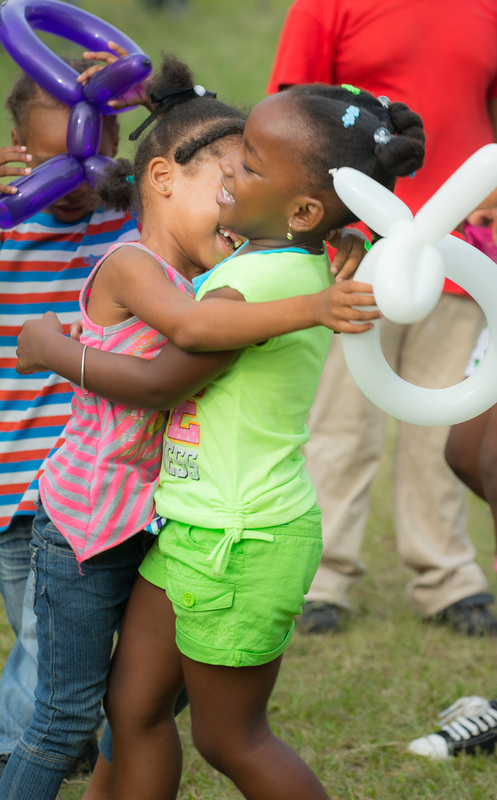 We hope you enjoy our photos from these events. In next post we will share our experience from other festivities, such as colorful parade, dress contests, and fantastic food offered during the celebrations. Stay tuned, share if you like it, and FOLLOW to be notified about it! All photos copyright Derek Galon. Story by Margaret Gajek. Please respect our copyright. No usage without authorization, please. So, we did it! We said goodbye to Victoria, BC, Canada, and left for Dominica in the Eastern Caribbean! Flying from Victoria through Vancouver and Toronto, we had three days in Barbados before getting on the final LIAT flight to Dominica. Air Canada prepared for us a farewell surprise – they lost our luggage. We arrived in Barbados in rather warm long-sleeve Canadian clothes, and were kept on a warm side for two extra days until our luggage materialised again. 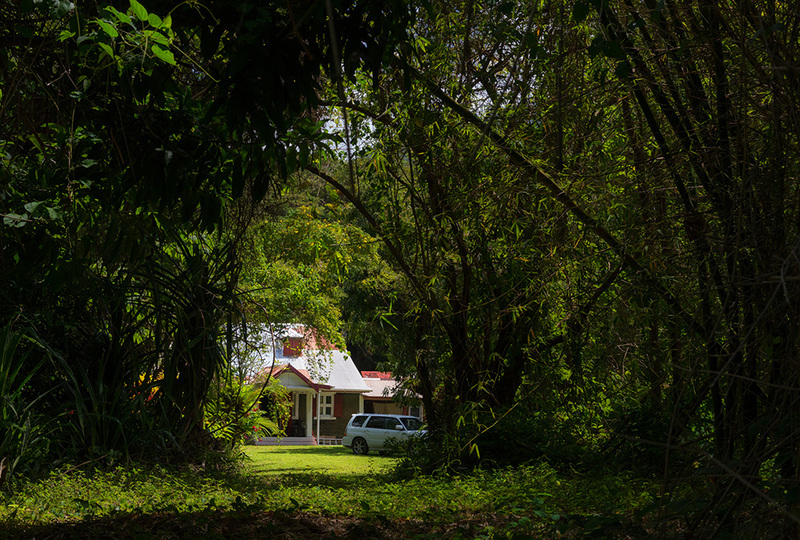 That did not stop us from visiting our favourite places in Barbados – the Welchman Hall Gully and Hunte’s Gardens. Both places look quite amazing, they matured and changed quite a bit since our last visit. Hunte’s Gardens are now a definite #1 attraction on Trip Advisor, and we fully agree with it. It is an unbelievably designed, beautiful garden full of nooks and surprises. Photographing it was actually our first job in the Caribbean as Caribbean residents. Despite the sweat (our warm clothes) we spent several hours documenting recent changes all over the place. These photos will be used by Virgin Atlantic for their guide to Barbados, and by Barbados Tourism Board for a local tourist map. Our welcome surprise in Dominica! 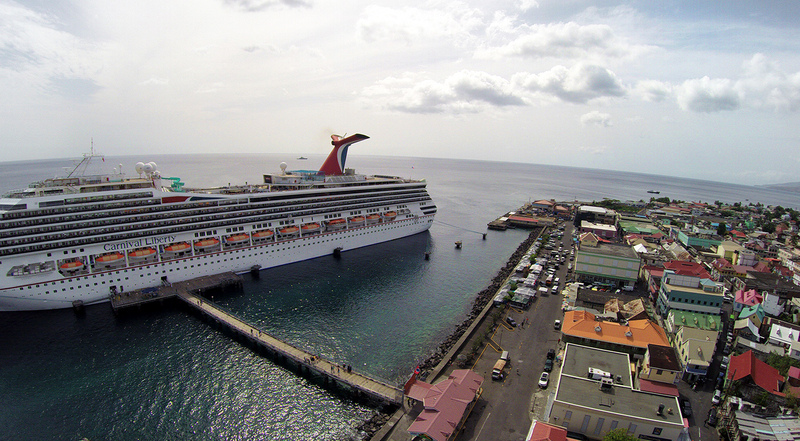 Dominica greeted us with truly beautiful weather and very smooth proceedings through customs. We felt like returning home. A short ride brought us to the apartment we are renting in Eggleston – a village high in hills above capital town of Roseau. 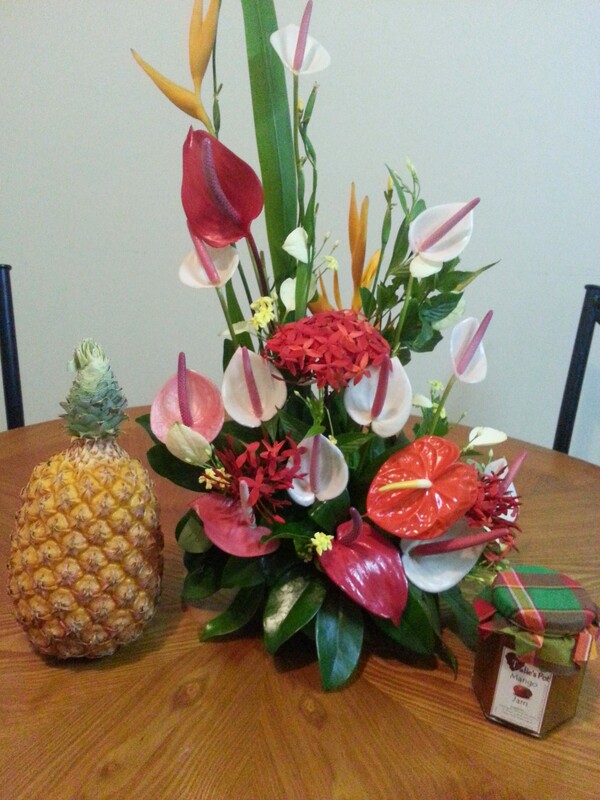 A nice surprise – Dutch friends who live in Dominica dropped off some grocery shopping for us, along with a fine composition of local exotic flowers! Thank you! 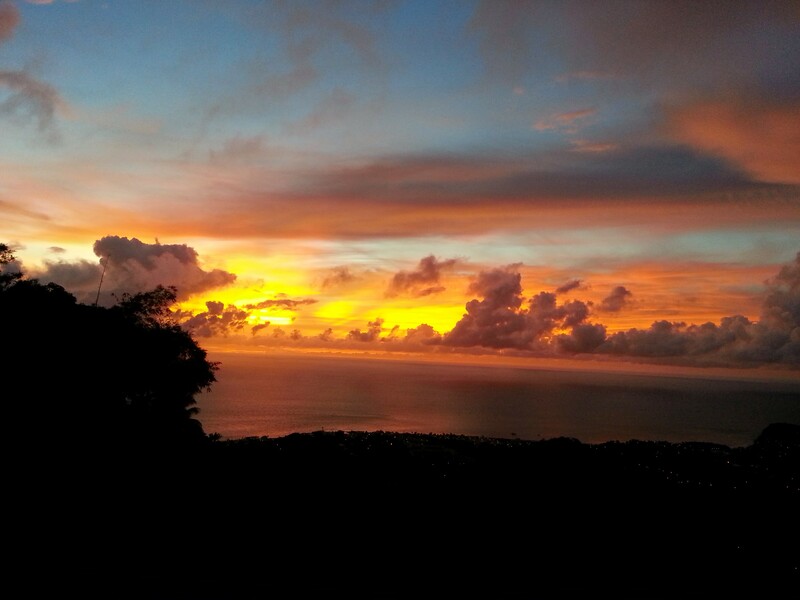 Evening view at Caribbean Sea – from patio of our apartment in Dominica. So, here we are, awaiting arrival of our car ordered from Japan, taking care of formalities (permanent residency permit), and accommodating to the new life style. The last one is not so difficult, as getting around is a true delight to us. Super friendly people, relaxed atmosphere – it all is just what we need at the moment. View from our apartment at hills and volcanic mountains of Dominica. Today we received news from Canada that our container started its journey from Victoria to Dominica, so we will be awaiting its arrival in about a month time. In regard to our photography work – it seems like a nice start. We are discussing with Montserrat Ministry of Tourism a week-long photo shoot in Montserrat (it would be lovely to return there – remember our volcano shots? ), and we are also getting accreditation for the International Creole Fest here in Dominica. We arrived right in time for this huge yearly event. 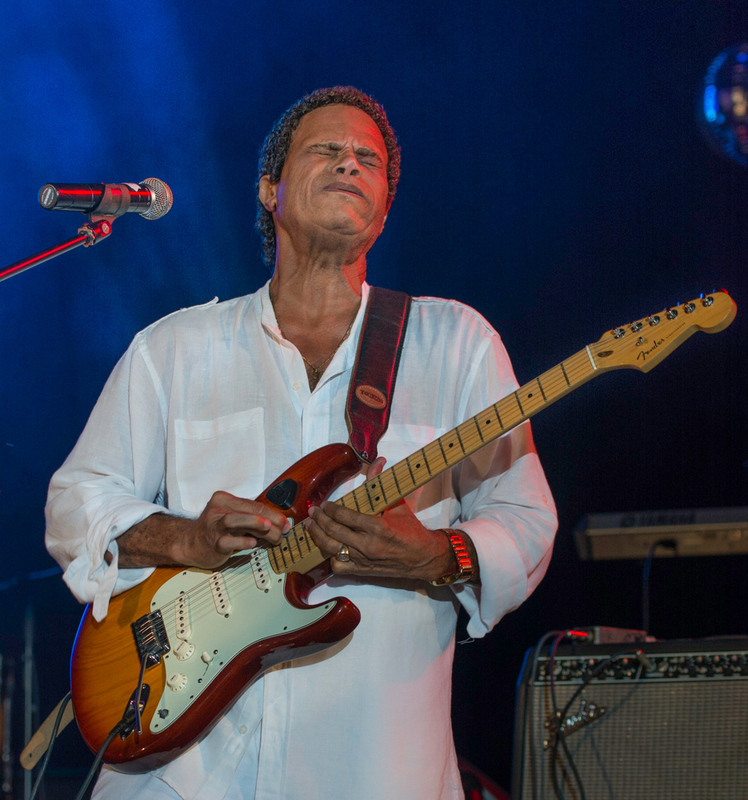 Three days and nights of concerts, with participation of the best Caribbean and international artists. We may not stay awake until 6am every night (yes, concerts end at 6am! 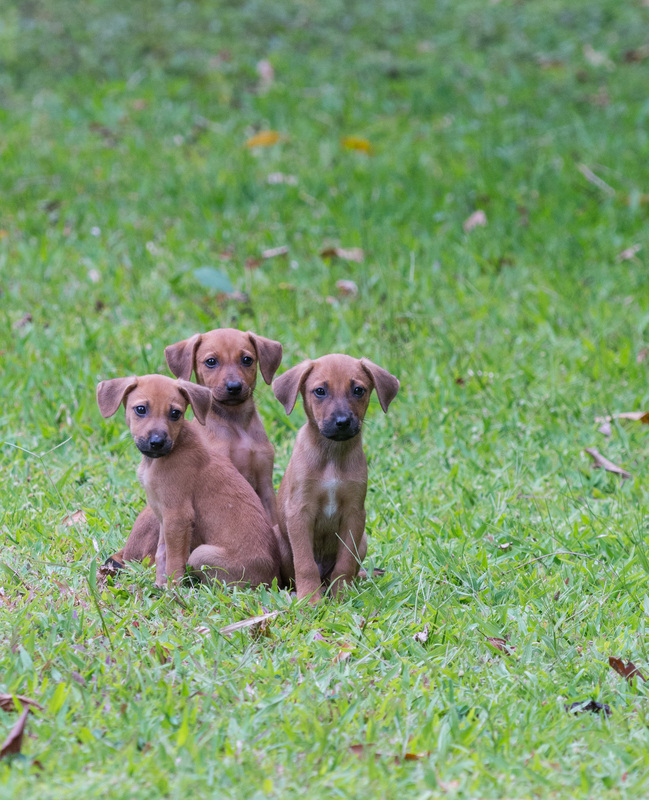 ), but I am sure there will be lots to photograph while we will be awake! Stay tuned! And SHARE/FOLLOW if you like this! 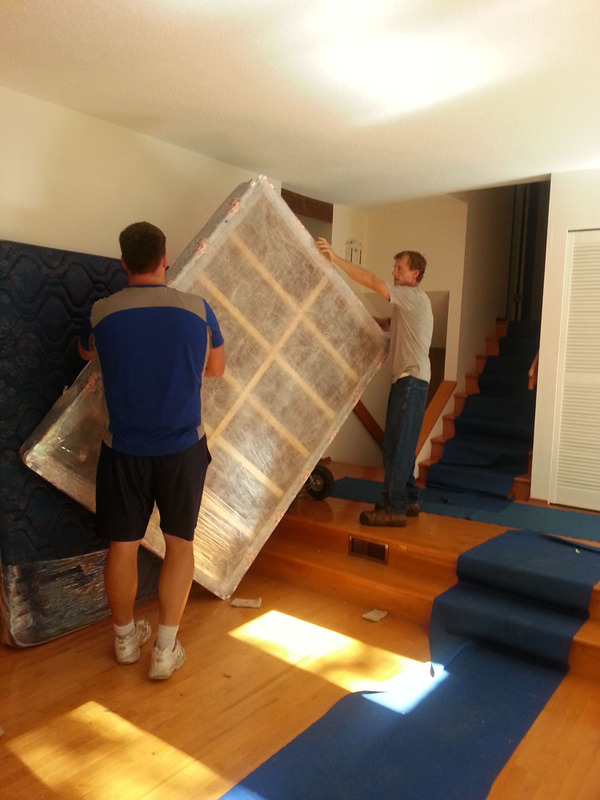 Today, after some 28 years of living in Poland and next 26 years spent in Canada – we are moving to Dominica! It will be a major challenge. Will we enjoy and handle it all? Well, we already changed our country of residence before, and we hope we will cope. 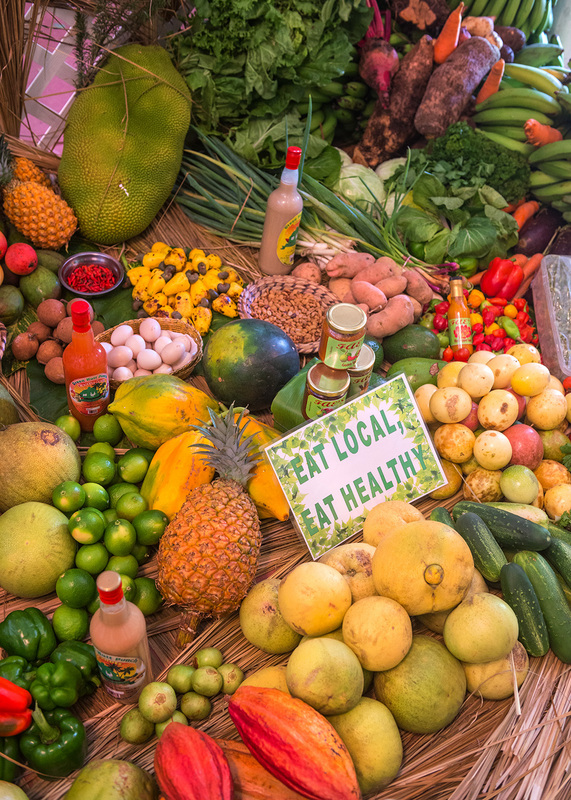 We plan to put all our skills, professional experience and enthusiasm, to promote the beauty of Dominica and other Eastern Caribbean islands. But will the Dominica be good for us? So many unknown factors. 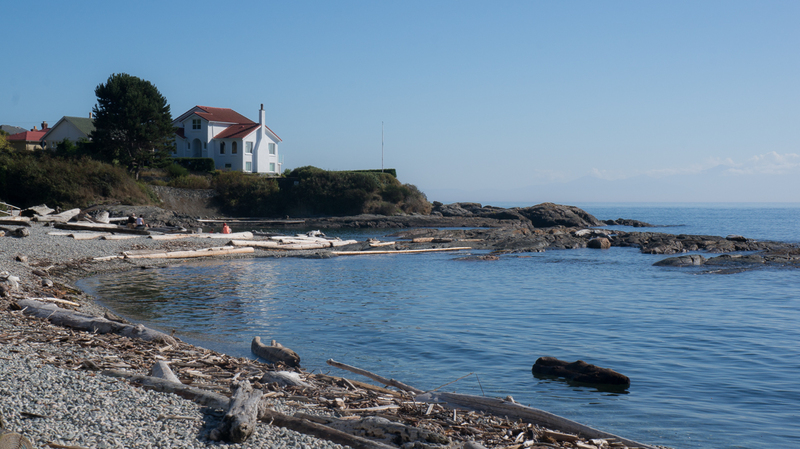 We went for a last stroll on Pacific shore, right here in Victoria, British Columbia – on Vancouver Island. It is a beautiful place indeed, and some people say we must be crazy to leave it for an unknown future. Perhaps we are a bit crazy, but we hope to find the new destination rewarding, with a more balanced life-style. We hope to leave behind the race for better jobs and always more money, we hope to find a bit of time for ourselves. 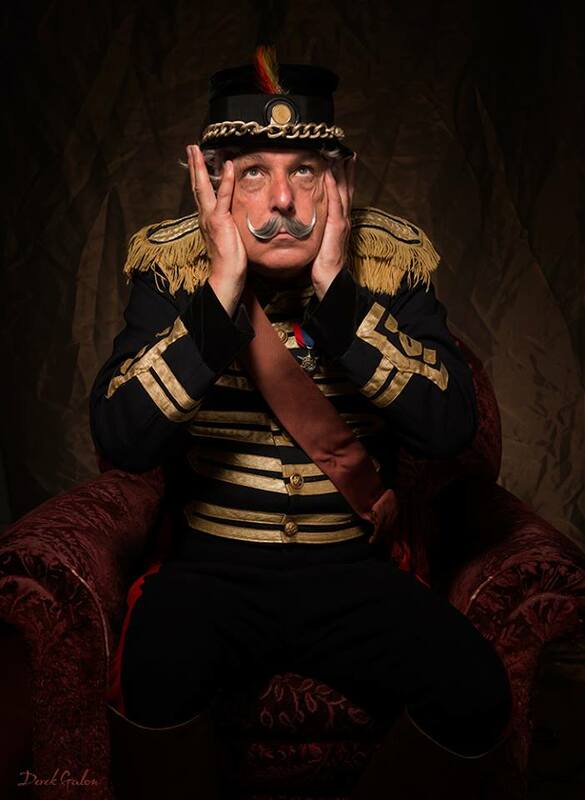 My last photo session in Victoria – with friends Michael Ward (on photo) and Jon Hoadley. 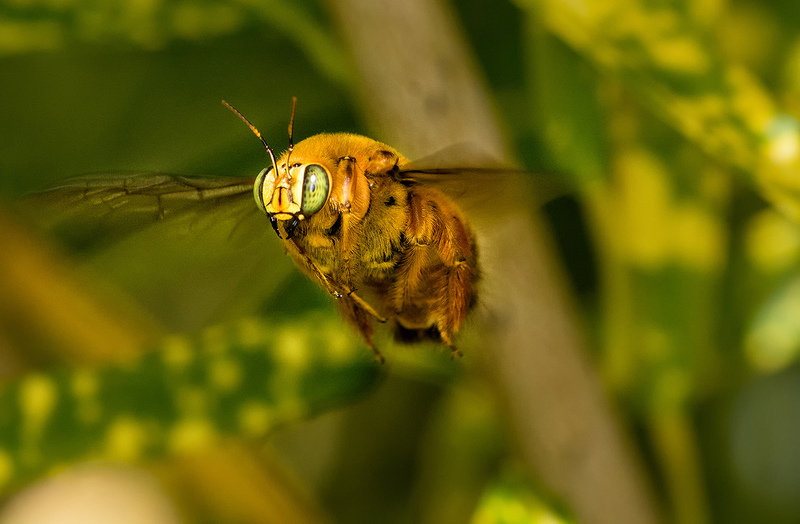 We know one thing for sure, whoever will hire us for world-class photography services or our internationally awarded publishing – will not regret. We know we are good at what we do. It is for others to try and discover it… so, perhaps we also need others’ good will and a bit of trust. 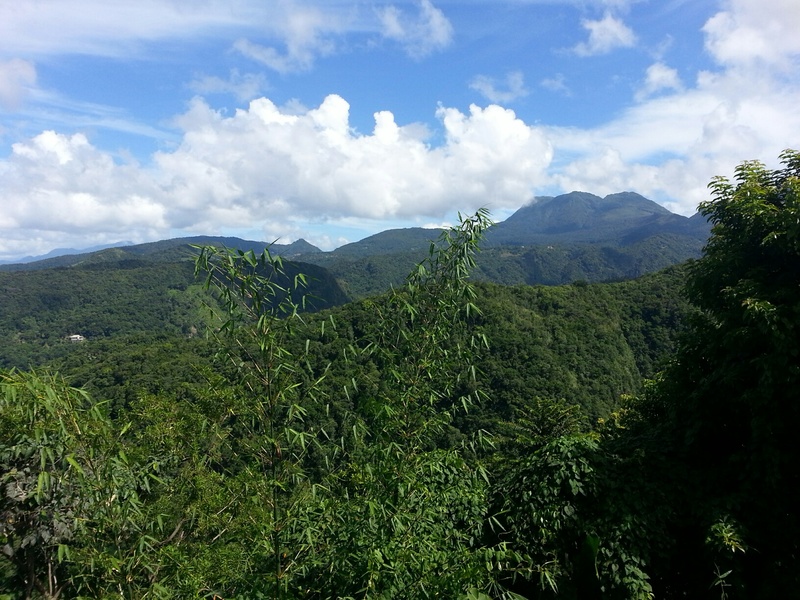 We will be posting progress of our moving and settling in Dominica here. We will stop in Barbados to see friends (Hunte’s Gardens, Welchman Hall Gully, and others), then we will fly to Dominica a few days later. Stay tuned and Follow this blog to get all these news. And of course – please Share and Like it! Last pieces of furniture leave our Canadian home. We already did it once before. We packed our things, and moved out of our old country – to Canada. It was some 25 years ago, we arrived with two suitcases to a totally new life saying good bye to our careers in Poland – me – an active jazz musician, jazz group manager and photographer, Margaret – a young art historian cataloging old churches all over the country. We had to reinvent ourselves in Canada many times to keep on the surface. We landed in British Columbia and had the last few years pretty stable. And now, it happens again! Except that this time we are older, and are packing a container full of stuff we may need – computers, wide format printers, all our office and photo/studio gear, plus many other little things which may not be easily available there. Where? 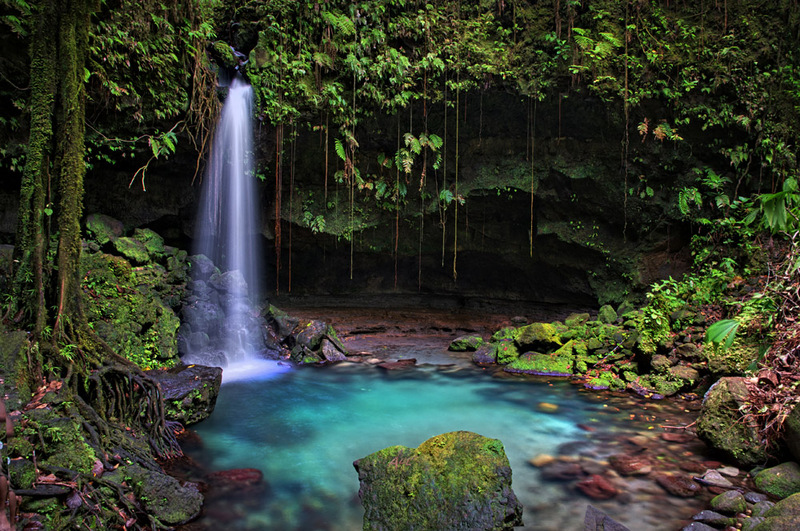 In Dominica, Eastern Caribbean region. Yes, we decided to move to Dominica and many people call us crazy. Time will tell if they were right. 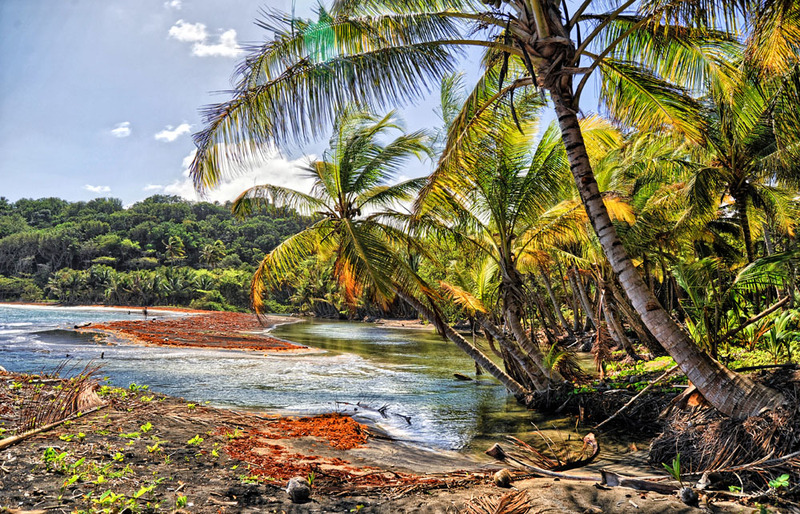 We went some 3 months ago to Dominica to do some more photography work for a hotel and an eco-resort. And we thought – why do we have to fly so far every time we have to do a job there? In fact, we have more work in the Caribbean than in BC and Canada. So, why not to try to live there at least for a while, and see how it goes? We love the place, which made our decision even easier. 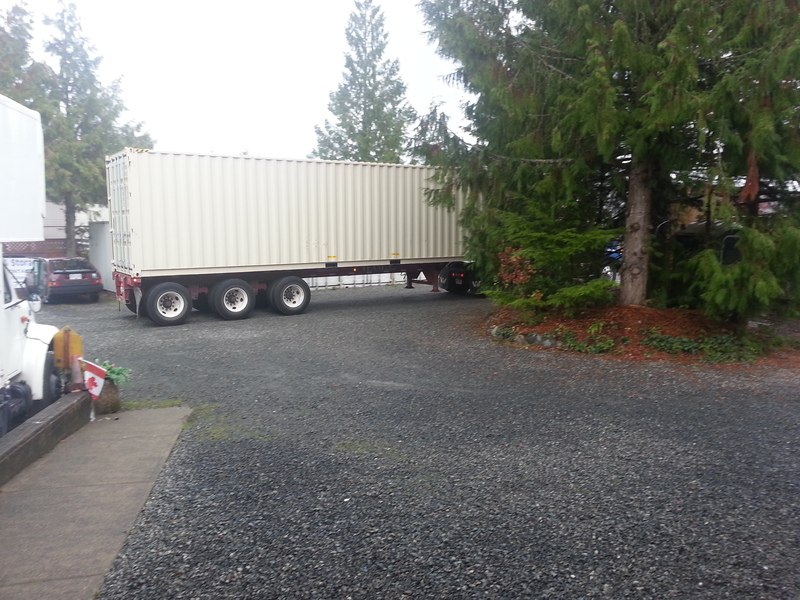 We sold our house in Victoria, packed up our container, and now we prepare for the Big Move, which will happen in October. We registered there our company Ozone Zone, so we can continue our work under the same name, and we are excited to start a new life. New beginnings once again! We will keep you posted on this blog with progress of things – good or not so good. So, make sure to follow this blog to get all updates. We were quite silent for last months as it was incredibly busy with selling house, moving out, deciding about details, closing business in Canada, preparing for the move, etc. I also had my last art photo session with old friends here. Now all is clear to us, and we have green light to go. Stay tuned! We will be in touch!